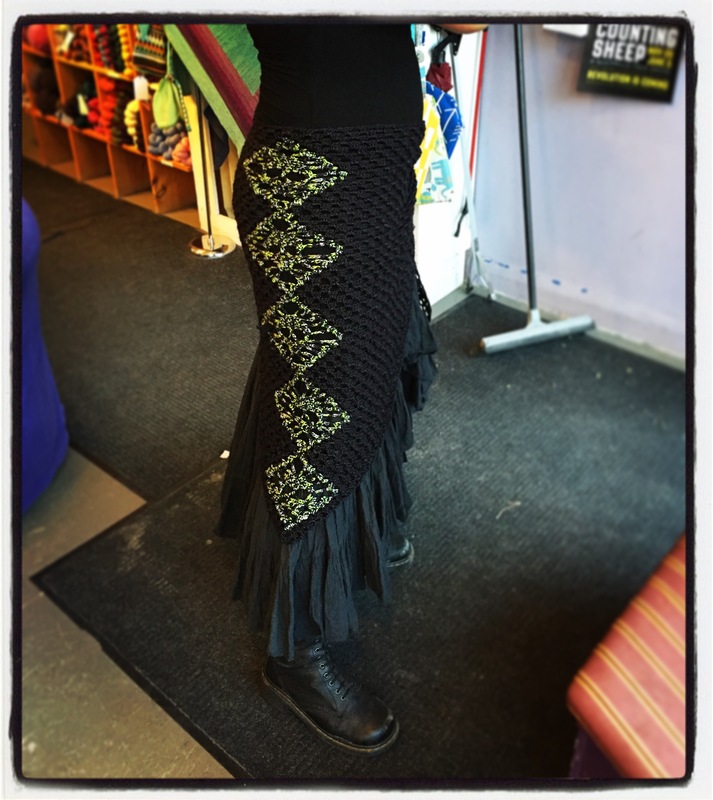 A few weeks ago, I found myself brainstorming ideas for new skull shawls. I wanted to do something a little different and I decided to try and solidify the pattern of the body while keeping skulls along the edge. 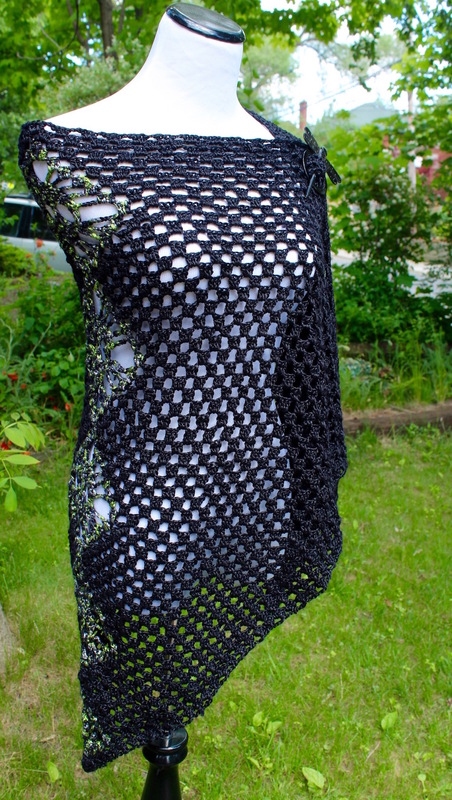 I think this was influenced somewhat by the skull scarf pattern I shared about a month ago. 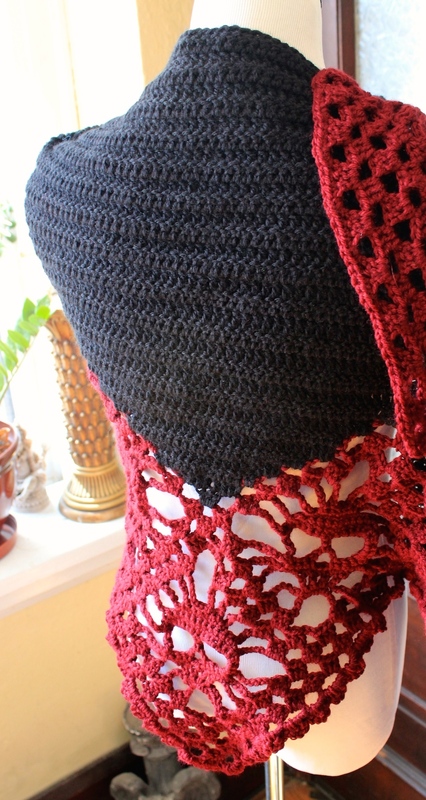 In that pattern, I decided to create a solid body around the skulls and this shawl is a sort of extension of that idea. I used acrylic to create this experimental piece, along with an H hook. It didn’t take too long due to the thickness of the yarn. 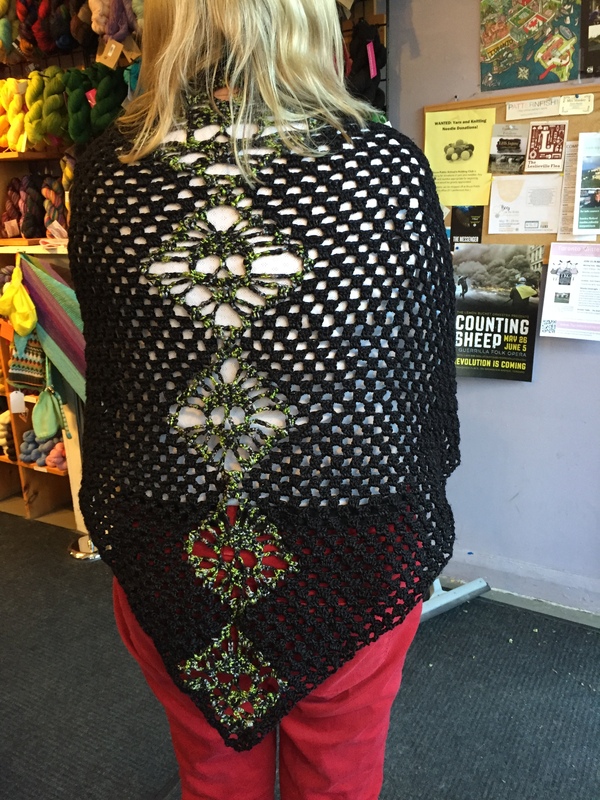 I like the look of it and am curious to see how it translates into a smaller lace weight. Granted, THAT will probably take quite some time to do. This week has been amazing! And humbling. And absolutely chock FULL of crochet and knitting! Last week I kicked off a Facebook campaign for Stitch Noir. I didn’t know if it would make much of a difference but I figured it couldn’t hurt. In the last 6 days, my page likes have tripled! Very unexpected and humbling. So many nice comments, not to mention people sharing my photos and my albums. Never in my wildest dreams did I expect such a reaction! If nothing else, it has inspired me to keep working on patterns. Altering them and making them my own. I discovered some software that allows me to create crochet charts so I have been trying to learn the ins and outs…plus I have been trying to create stock for my Etsy store….but although I have SO many ideas, I only have two hands and sadly only 24 hours in a day. Next up, we are headed up to the family farm for around a week. Cows, pigs, chickens, horses and SHEEP! My plan is to use up every sunny day sitting out on a hay bale, scratching the ears of Claire (the lamb who loves scritches! 🙂 and crocheting. Well, perhaps I’ll also find time to take out my bicycle! I’m pretty certain I’ll also find time to take pictures. “Imagine an air conditioned theatre. It’s not cold outside so your shoulders are bare, but inside….well BRRRR! If you’re wearing this lovely cowl around your neck, you simply pull it down over your shoulders. Unexpected precipitation? Pull this lovely cowl up over your head and you have a lovely hood! 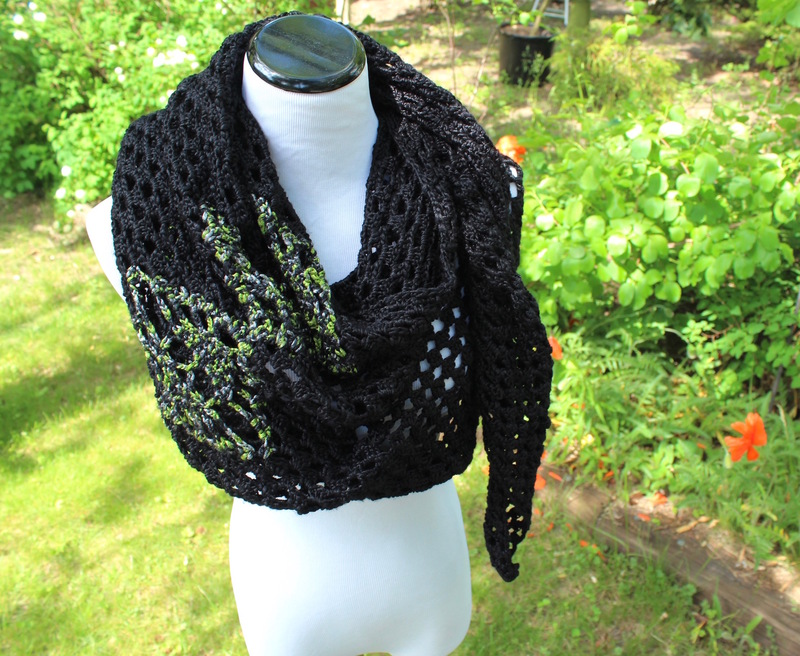 It’s a pretty straightforward pattern to create and credit must be given to both Kungen O. Majkis for the skull inspiration and Lorene Haythorn Eppolite for the Zola cowl pattern. I’m pleased with how it turned out and already have another three planned and yarn purchased for each.